The Pesaro curved buttoned headboard features deep padded panels and self coloured edge band trim detail around the outer edge. Available with optional diamante buttons for an extra special finish. 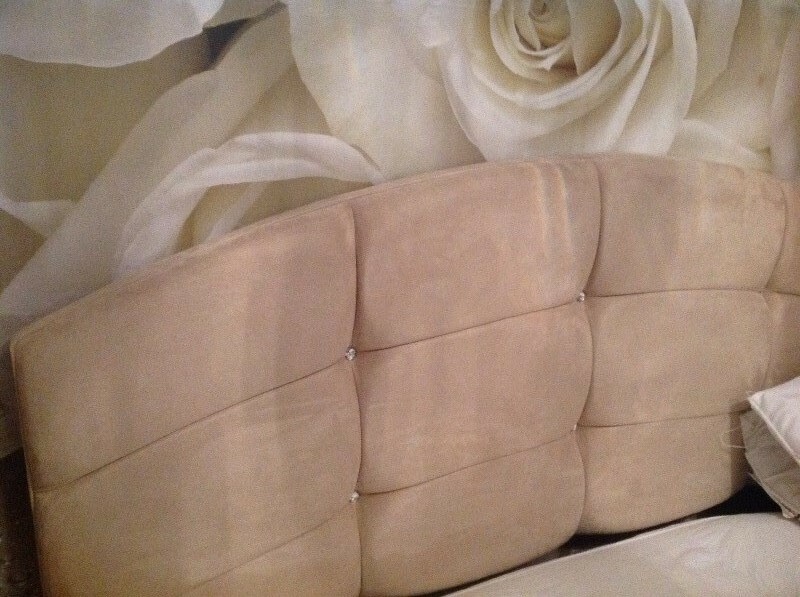 Note: Main image displays this headboard in Gem Sand . Really pleased with these, always a worry with colour and are they as they are pictured. But yes they real are. Delivery was quick compared to other places I looked. Really great value for money. Very goood thank you well made.